I always look forward to Dr. Al Mohler's yearly summer reading lists. By the way, I love Anna Karenina! At the Senior Residents' Call Room I occupy two tables. My stack of reading material occupies an entire half. I'VE BEEN reading John Calvin's Institutes of the Christian Religion. I'm using the translation by John Allen. Addressed to the King of France, the book is considered one of the best books ever written in Christendom. John Calvin is an intelligent, deeply thoughtful man whose writing reflects his faith and convictions. It's a feast for the soul. I can't believe I'm only starting to actually read classic Christian literature now. Man, created originally upright, being afterwards ruined, not partially, but totally, finds salvation out of himself, wholly in Christ; to whom being united by the Holy Spirit, freely bestowed, without any regard of future works, he enjoys in him a twofold benefit, the perfect imputation of righteousness, which attends him to the grave, and the commencement of sanctification, which he daily increases, till at length he completes it at the day of regeneration or resurrection of the body, so that in eternal life and the heavenly inheritance his praises are celebrated for such stupendous mercy. Consider these things if you haven't come to a personal knowledge of Jesus. Sit down sometimes, and well bethink you, what recompence the world or sin will make you, for your God, your souls, your hopes, and all, when they are lost and past recovery? Think what it will then avail or comfort you, that once you were honoured, and had a great estate; that once you fared of the best, and had your delicious cups, and merry hours, and sumptuous attire, and all such pleasures. Think whether this will abate the horrors of death, or put by the wrath of God, or the sentence of your condemnation; or whether it will ease a tormented soul in hell? Dwell on the blessings of our salvation through Christ. —Baxter, Richard. “A Christian Directory: Or, a Sum of Practical Theology, and Cases of Conscience"
So far, so good. I'm getting used to the "old" language; it's very poetic. A feast for the Christian soul! The Christian mind must be trained in righteousness if one must glorify God in all aspects of life. 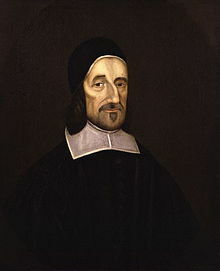 I'm doing something ambitious with my reading and spiritual life: I'll be reading Richard Baxter's "A Christian Directory: Or, A Sum of Practical Theology and Cases of Conscience." Inspired largely by Tim Challies, who engages his readers to read Christian classics, I decided to slowly and meditatively take up this habit. It helps that my pastors are fans of the Puritan writers, quoting them a lot during preaching. The book's subtitle is "Directing Christians How To Use Their Knowledge and Faith; How To Improve All Helps and Means, and To Perform All Duties; How To Overcome Temptations, and To Escape or Mortify Every Sin." The book is so big that I must make no longer preface than to give you this necessary, short account, I. Of the quality; II. And the reasons of this work. I'll be quoting and writing a few things about the book here and there. I don't expect to finish soon, with all the readings I need to do for work. But I'm quite excited. I've been having difficulties formatting the .txt document from Gutenberg. It turns out that it's better to use html as the base file in in Calibre, prior to converting it epub or mobi, so the formatting is still preserved. If we provide a HTML file for the ebook you are interested in, it is best to convert that file, rahter than the TEXT file, to MOBI or EPUB format as required.